“As soon as I stopped focusing on losing weight, I healed from my eating disorder…” or “As soon as I stopped dieting I lost weight…” I’ve heard this from clients again, and again and again and again. Why do you think that this is true for so many people? I know that focusing on weight loss keeps people pulled into the bingeing and restricting cycle and pulled into the “I’ll be better when…” syndrome (and there’s never an ending to the when…), but it’s also because the focus on weight loss is always inherently focusing on something negative… losing instead of gaining. One thing that I help people do in their recovery is to focus on adding instead of subtracting and gaining instead of losing. Like adding healthy, life affirming foods instead of taking unhealthy foods away, like gaining strength and health instead of losing pounds, like adding positive behaviors instead of subtracting negative behaviors away. The hope is that the positive behaviors and thoughts will eventually crowd out the less desirable behaviors and thoughts… and it works! And it’s so much more enjoyable to feed yourself healthy, loving foods, thoughts, and actions than punishing yourself, criticizing yourself or restricting yourself. What would it be like if you took JUST ONE WEEK and decided to not focus on weight loss at all, to not even think about it. It’s my one week challenge to you. See what happens and then report back. There. There are seven things you can focus on for the next seven days. Each day choose one and by the end of next week, see how you are feeling, see what it was like to spend a week totally not focusing on weight loss. Completely untrue. In fact most of the people I see in my practice are considered a “normal weight.” Food is their drug and bingeing is something they do in private and something people will go at lengths to hide, including maintaining a normal weight. In fact, I’ve had clients who were downright skinny but who binged on food often and felt completely out of control with it. Actually, binge eating affects 8% of the obese population. Which means that 92% of obese people are NOT affected by binge eating. In fact, despite the media’s belief that all fat people are unhealthy, there are many, many people who are both fat and fit. People who binge eat usually have incredibly amounts of will power and self control. 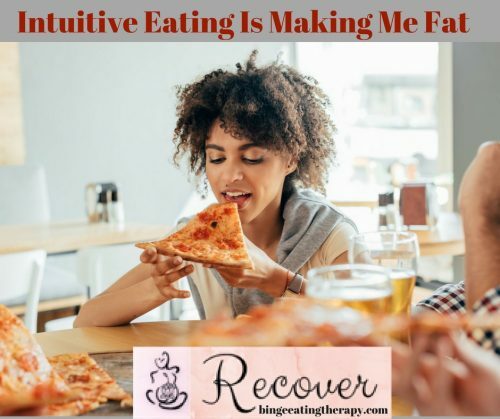 And though this is not true for every binge eater, for the most part, people who binge eat tend to be extremely high achieving and controlled in many aspects of their lives, including controlling their food. It’s this control that tends to sometimes backfire causing an all out rebellion against the person’s inner critic. 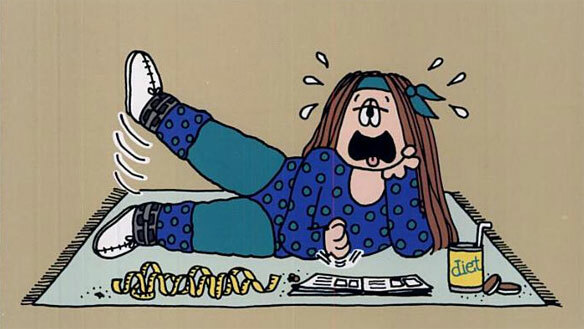 What a person who binge eats actually needs is more self compassion and support, not more rules and self control. Learning to support oneself in a positive way, not in a pejorative way will empower the binge eater feel more comfortable around food and less likely to be overpowered by an all out binge. Not everyone who binge eats purges by vomiting. Some people compensate by over exercising, some compensate by fasting, some compensate by dieting, some compensate by taking laxatives, and some don’t compensate at all. Binge eating is more complex than simply a bad habit, it’s actually an impulse control issue, although it is not technically classified as and impulse control disorder. 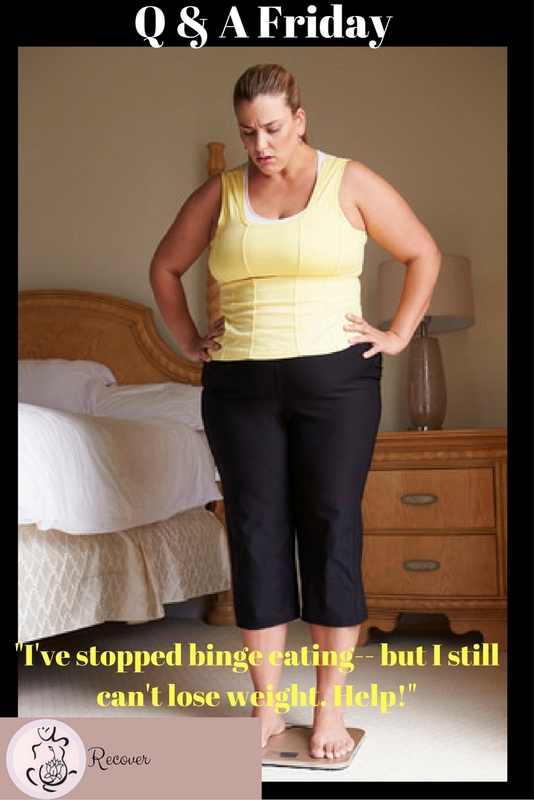 However, using similar techniques as are used in certain other ICDs (like compulsive shopping) binge eating can be healed. I’ve seen wonders done with DBT and mindfulness training. It’s really not as grim as it’s made out to be. 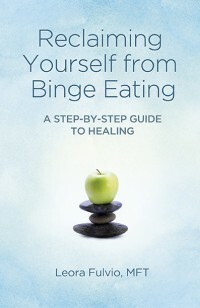 In healing from binge eating, you really heal your life in so many different ways. You become more organized in your thinking and more thoughtful and mindful. You can come to a place where you are able to let go of your feelings and fears about food. 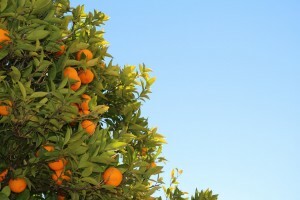 Food becomes nurturing instead of the enemy. I’ve seen it happen over and over again with my clients and that has certainly been my own experience. 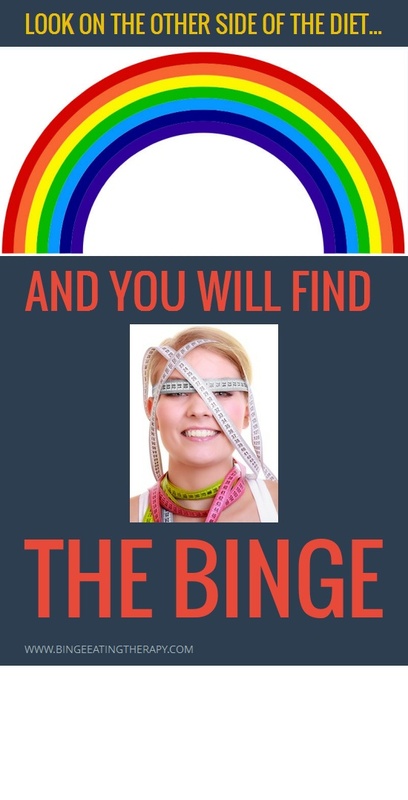 Just because you are binge eater, it doesn’t mean that you are broken. It doesn’t mean that you have a bottomless pit that you will never fill. However, having binge eating disorder can feel hopeless and you might feel as though you are totally out of control and a total mess. But you’re not. You need support, you need compassion and you need some help to get you passed it. Sometimes people will have a drink in order to calm down the urge to binge eat. But it often backfires. This is what I call “the solution becoming the problem.” If you drink to feel more in control, your problem might then become the drink. And more often than not, people wind up bingeing if they have drank too much- if not that night, then certainly the next morning to deal with a hangover and the shame that often accompanies it. No. It doesn’t. It really doesn’t. I’m very much a proponent of eating whole foods as much as possible and eschewing processed foods for the most part. So, eating lots of foods out of a box, probably not the best idea for overall health, however, unless you have sugar issues (as in hypoglycemia or diabetes)- it is not advisable to give up fruits and vegetables- even yams and potatoes. Your body runs more efficiently when you are eating a variety of whole foods. If you wind up on a very low carb diet, it’s likely that you might find yourself bingeing on carbs. It’s not because you have no lack of control, it’s because your cells are screaming for glucose and your body will push you into getting what it needs for survival! 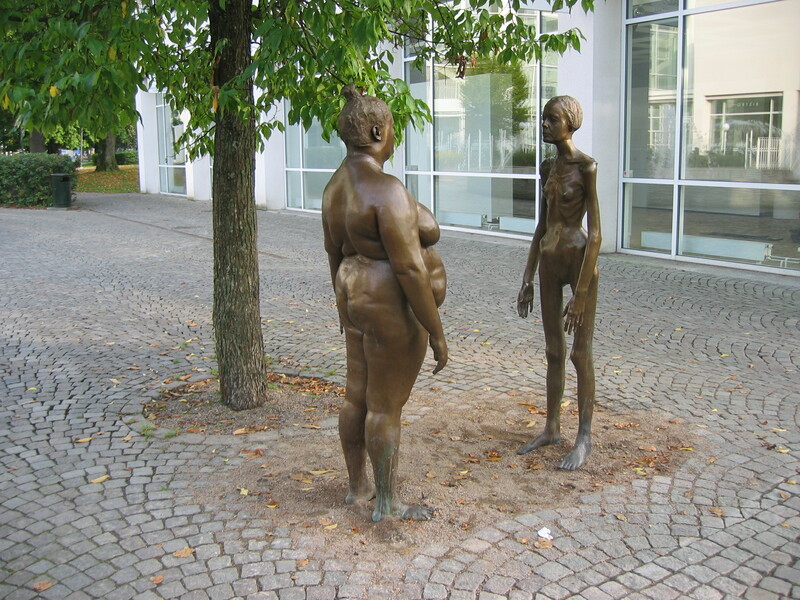 Eating Disorder VS Disordered Eating. Is binge eating related to personality traits? Let’s Talk About Binge Eating Disorder! !